I had noooo idea what to name this post. I was trying to decide what kind of eye makeup to do on my friend's wedding. I needed something quick and easy to do in the morning since I'm doing makeup for the guys, might as well figure it out now. 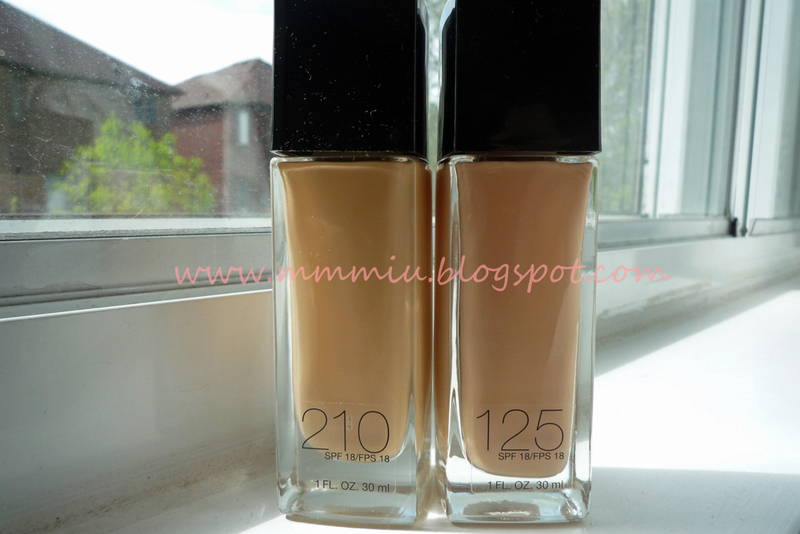 I always start off with a cream base if I have one, makes the color appear more vibrant and lasts longer. And of course, I always use UDPP too. Using Sandstone shade, apply all over lid and up to the crease. 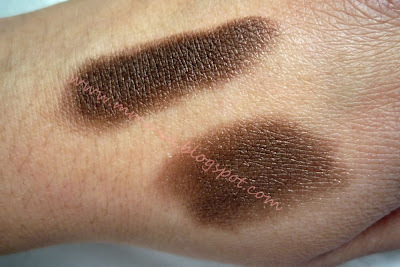 I warm up the MUFE liner on my hand to make it easier to apply. Draw a thicker line than usual on top lashline. 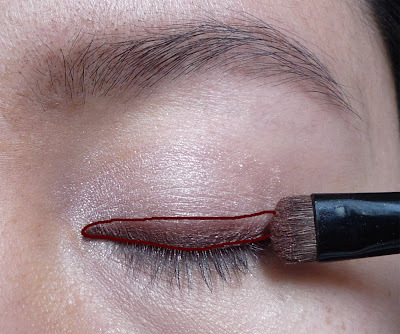 Using the Cognac shade, smudge it slightly upwards and blend out any harsh edges. 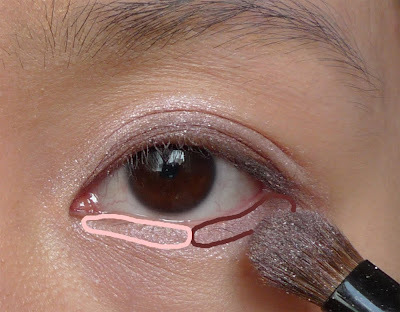 Next, I blend the pink shade from the Integrate palette on top of the smudged liner, careful not to apply the pink on the lashline. 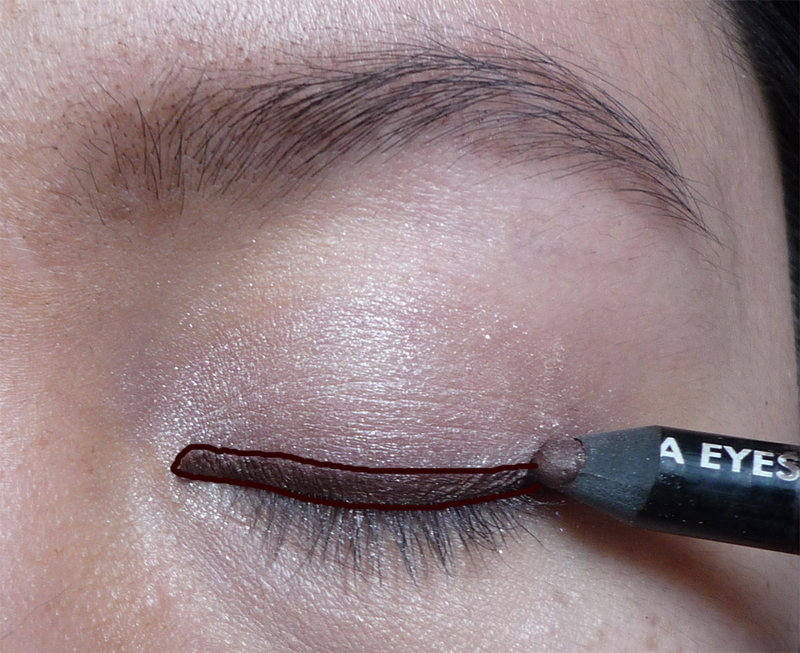 This will wash out the brown color on the lashline if applied there. 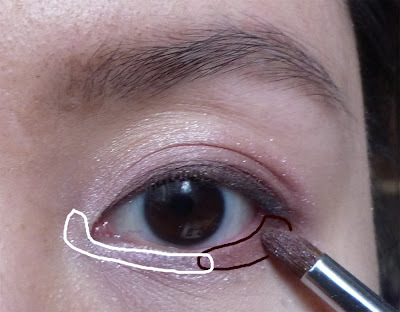 Using the same Cognac shade, blend starting from the middle of the lashline out towards the outer corner, making sure to apply more on the outer. 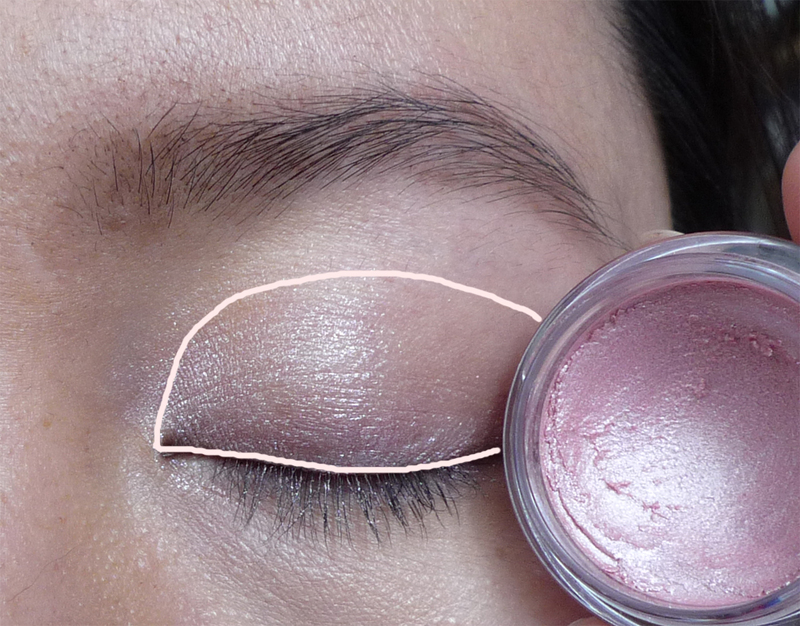 Next, I blend and pat the bright pink shade from the Jill Stuart palette on the outer corner and into the crease. I pat the pink shade on top of the brown to avoid making it muddy looking. Highlight the inner corner and lower half of the lashline with the shimmery highlight shade from the Integrate palette, and apply Cognac on the outer half. Line the top lashline, careful not to make it too thick. 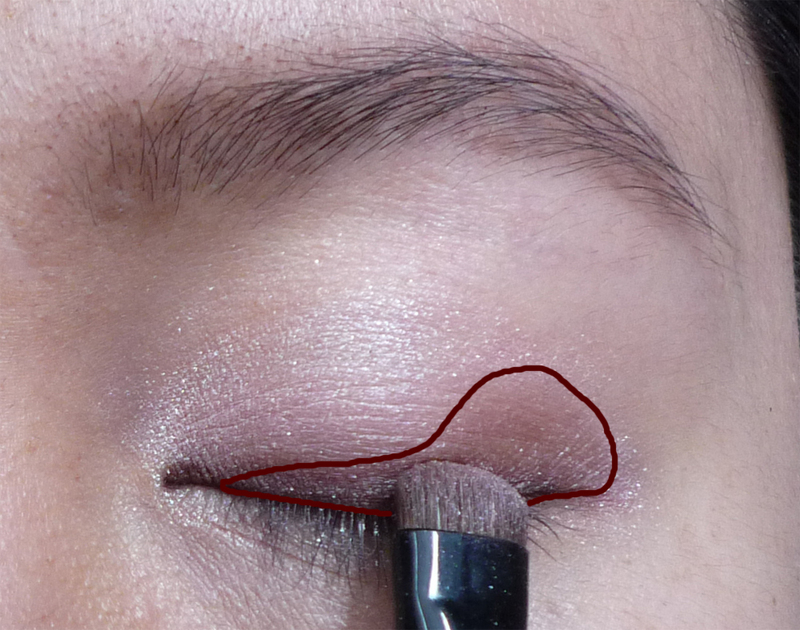 Drag the line out a bit and create a slight wing. 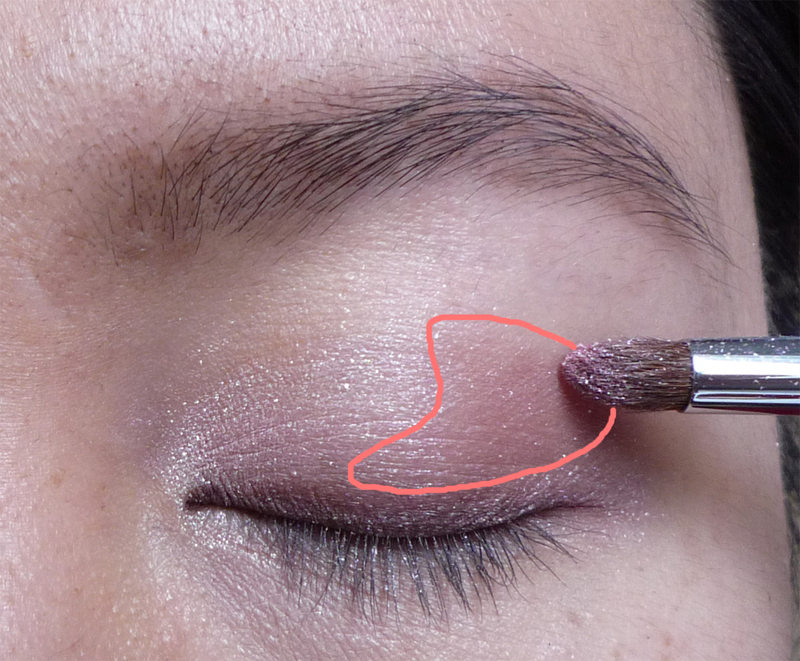 I forgot to mention, I highlighted using Sandstone on my brow bone. 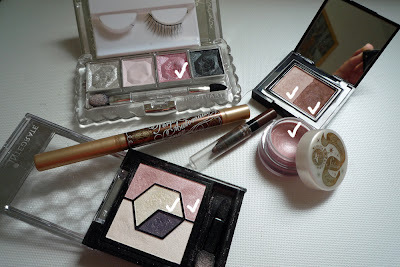 I might end up changing my eye makeup for night time...thinking of just using brown and gold shades..but with a heavier hand...hmmm... decisions decisions.. Anyone heard of Beauty So Clean? Well, if you haven't, it's a makeup mist that you can spritz onto pressed powders, shadows, blushes and even cream foundations! 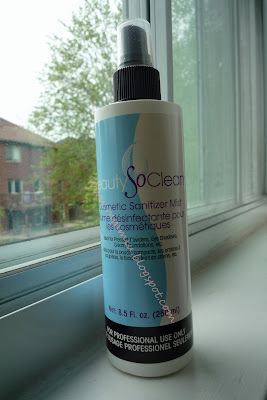 This spray kills bacteria and helps keep makeup cleaner, especially if you're like me and just can't seem to part with your eyeshadows hehe. The spray is mostly alcohol, but it's also got added ingredients (like isopropyl palmitate - moisturizing ingredient) so it won't dry out or damage your makeup. I purchased mine at school as a special order. I don't think you can get this size anywhere, unless you order online from Eve Pearl. Last week, I saw they had the large bottle, but it seems like they only have the small one in stock at the moment. Otherwise I know you can purchase it at The Bay, but unfortunately, not the large size that I have. Either way, I think it's a good investment for makeup artists and for personal use to keep everything nice and sanitized. Check out the Beauty So Clean website and you can see a few other products they have. I really don't like editing my posts using Google Chrome. The pictures don't move around easily and it just makes it frustrating, but IE is always crashing on me. Anyway, on to the post. Thank you for everyone's comments. I know I've been slacking in the commenting area but I still jump around blogs to keep myself updated. 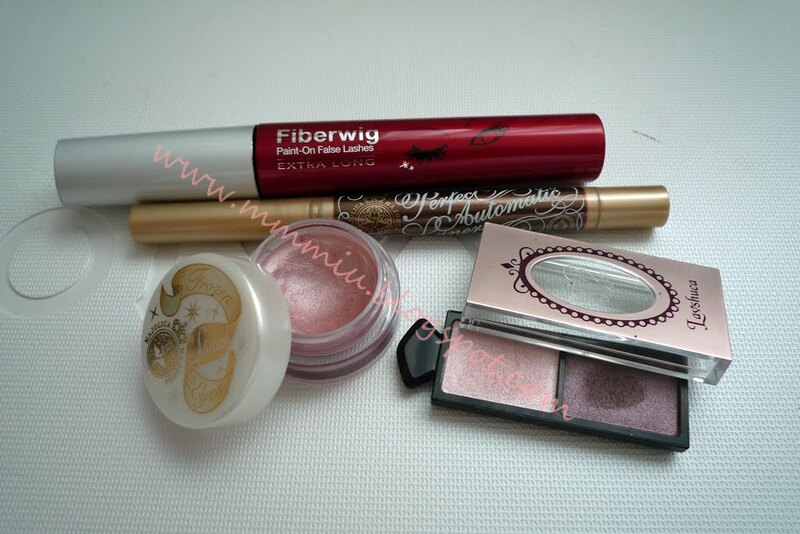 A friend from school recently went to Hong Kong and helped me stock up on some MJ liners. 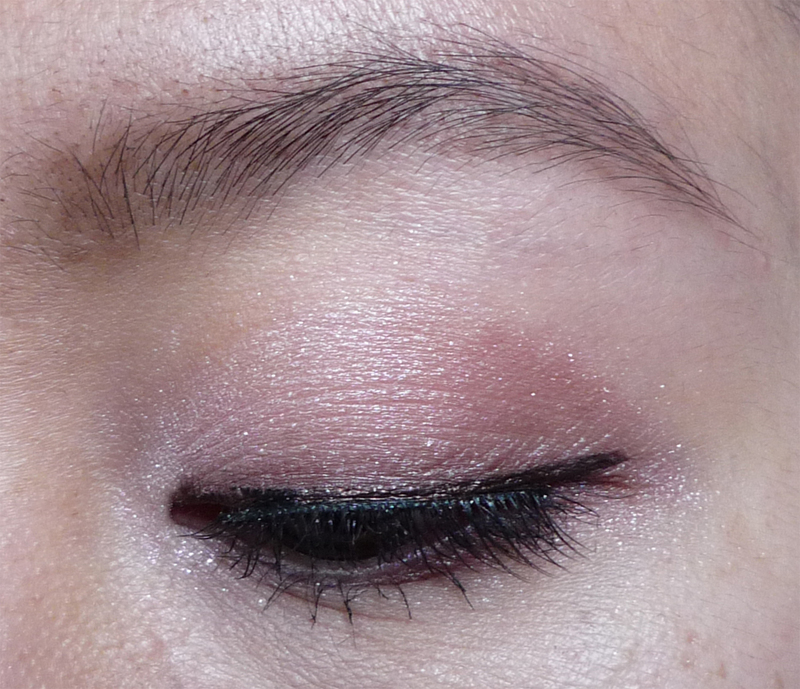 I got the BR601 shade which is a deep shimmery brown. I've been using the shimmery black MJ liners for so long, I don't know why this is the first time I finally tried a different shade. Hmm...actually, I think I used to have a deep blue one, but who knows, it was so long ago. She also got me a souvenir! It's a Lavshuca PK1 eyeshadow, I'm not too sure what it's supposed to be called, but I can imagine something like double, or duo something. I've tried so many Japanese makeup from the past couple of years that I don't really remember if this is my first Lavshuca eyeshadow..I'm pretty sure it is. 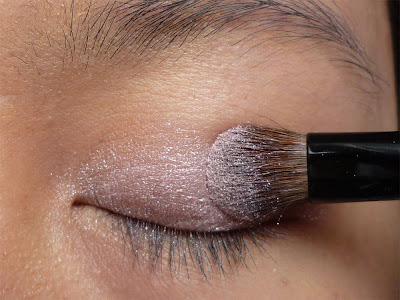 It comes with a pale pink that applies very smoothly and leaves and nice soft shimmer. The darker shade looks taupe with a hint of pink. It's not really pigmented enough to be used as a liner though, but great for adding definition. 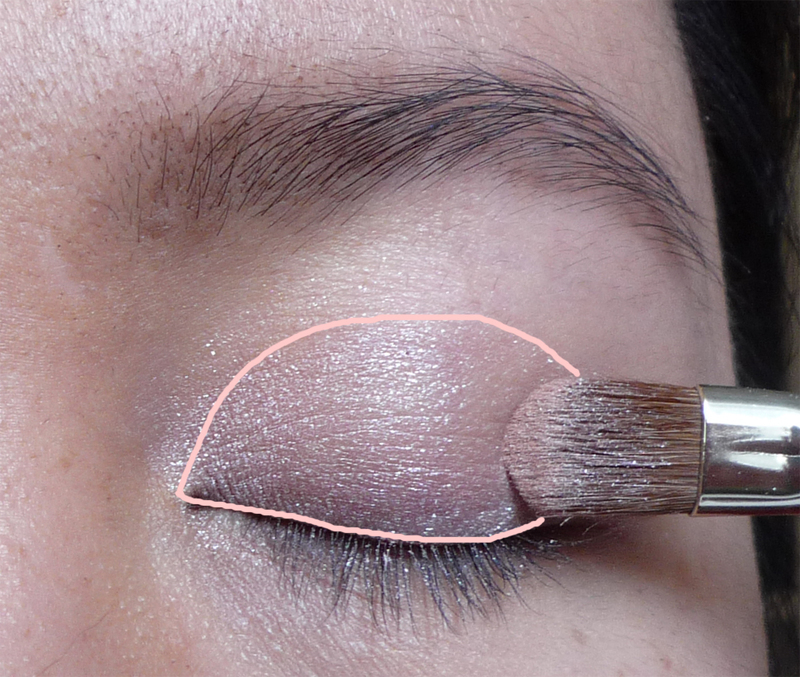 I thought I'd post a quick picture tutorial with the eyeshadow. 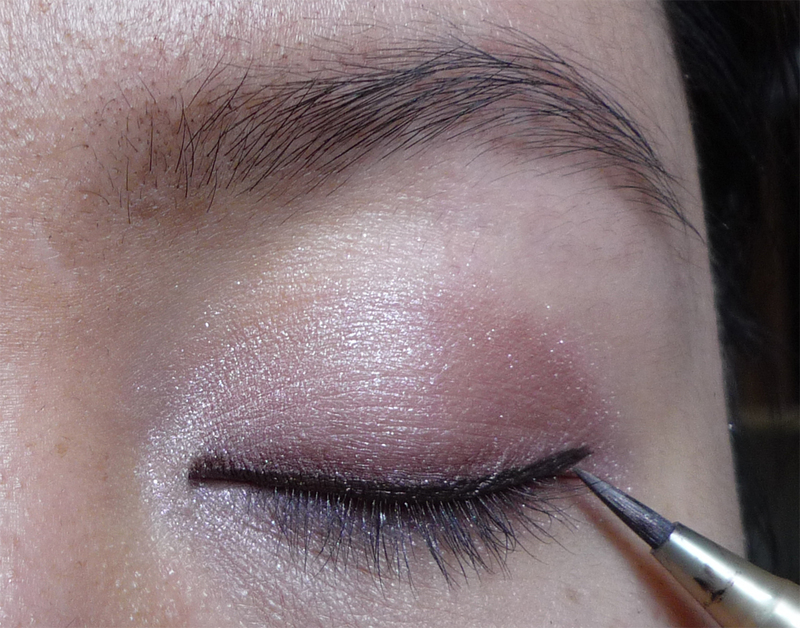 Nothing too difficult =D It's been a while since I did a picture tutorial. 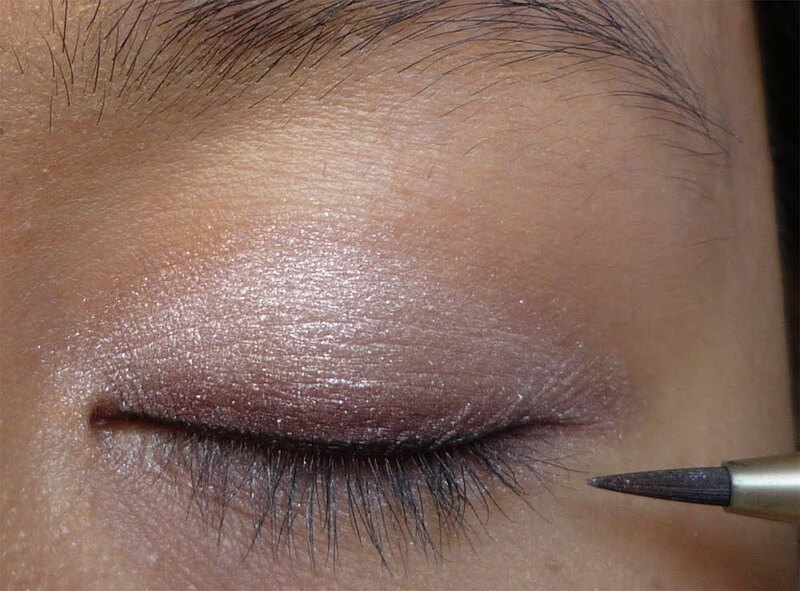 First things first, I always start with a color base whenever possible, it really helps the eyeshadow last longer and gives a more vibrant finish. 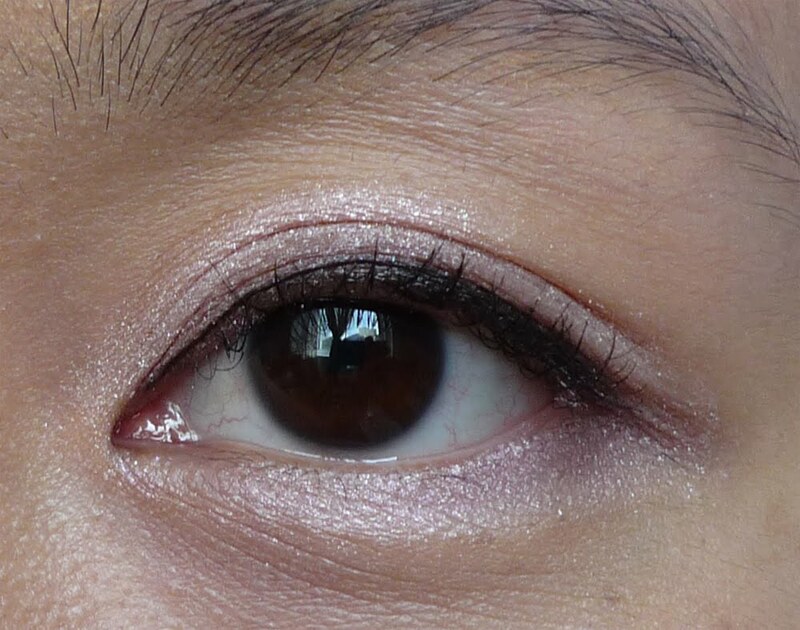 The shadows actually last very long without having to touch up for at least 8 hours. 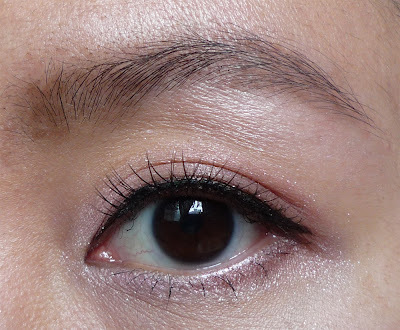 I also don't always put color on my lower lashline... I'm slowly getting more used to seeing myself with some color there, although it seems to fade really quickly, or my eyes get watery. 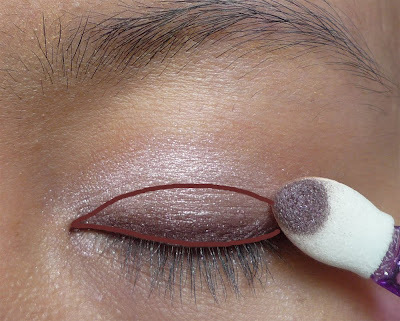 I love the MJ liquid liners...what would I do without them. I curled my lashes and used a heated lash curler before applying mascara. Just using 1 coat with the heated lash curler is enough to make my lashes really stand out. I skipped the second coat since I was wearing glasses. And done! A little update to the L'oreal Color Infailble. Just some good and some bad.. I wasn't too pleased with the product but wasn't disappointed either. 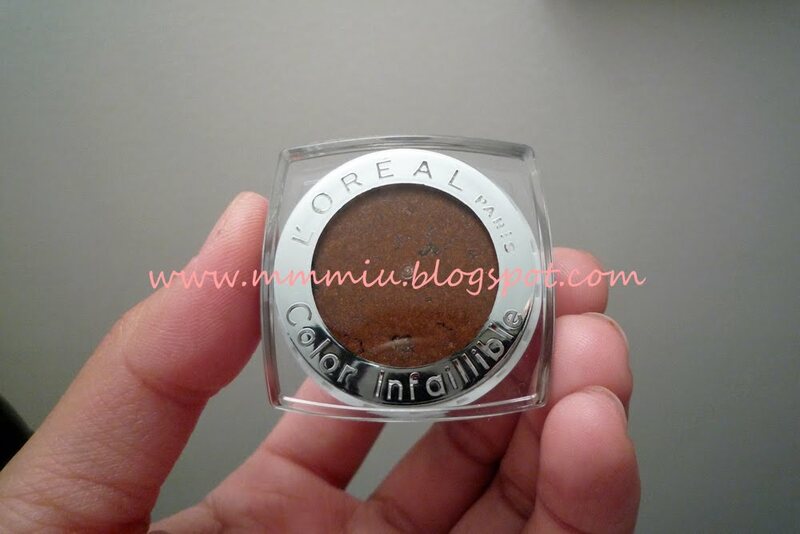 The good things about this shadow is the texture, it feels very silky, almost like cream but more powdery, but very light when applied to my lids. 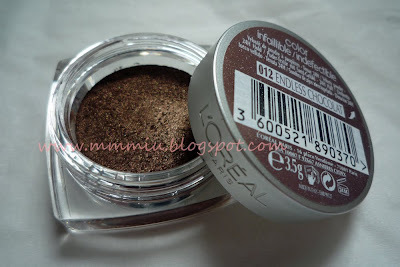 It has a more powdery finish. 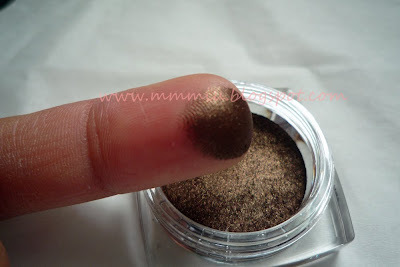 I'm not even sure if this can be considered a cream shadow. 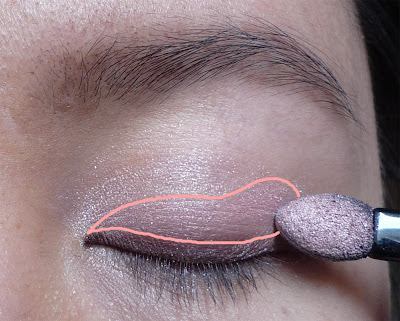 It's also super pigmented and can be layered for a more intense finish..which I think is quite nice, considering some shadows don't appear any bolder no matter how many layers. Besides those good things, I was slightly disappointed in the application. 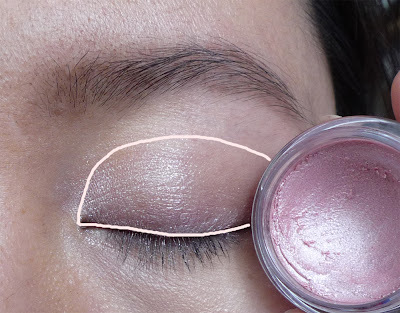 Although very silky in texture, I found it a little bit difficult to blend out the harsh edges, maybe because I was using my fingers? I also noticed the first signs of creasing after an hour of wear so I just took it off. I'll probably give it another chance another time. The color is very pretty but I don't see myself using it much because it's so much bolder than what I usually use. Look what I got in the mail! Supposedly not out yet, at least not in Canada. 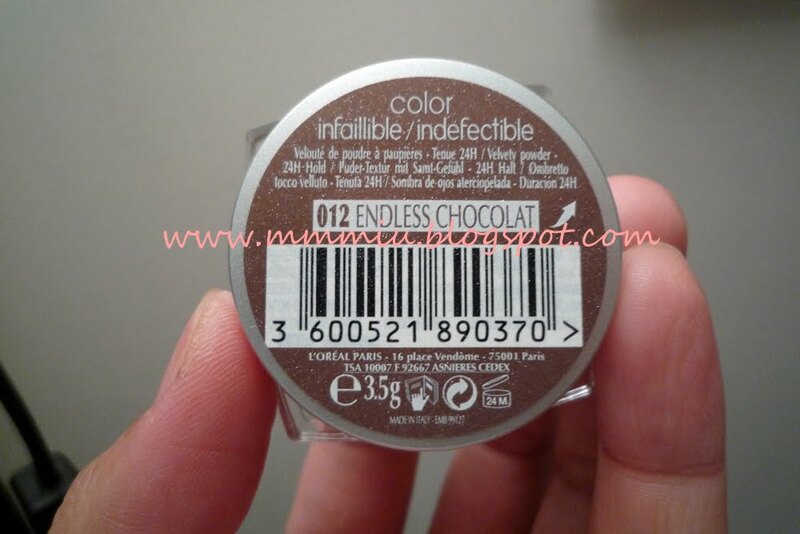 L'oreal Color Infaillible in Endless Chocolat. Got it from an offer from a cosmetic magazine subscription I get at school. I haven't tried it or even touched it yet, too tired to try it out since I just got home from work. 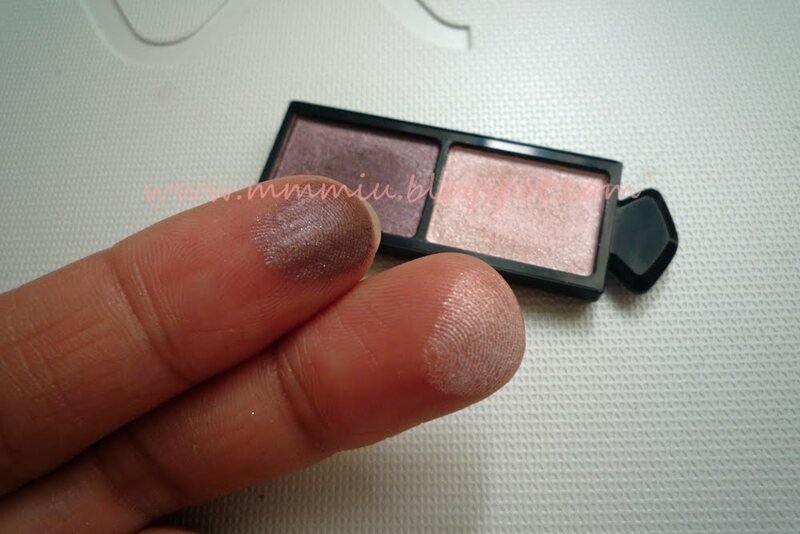 From what I can see, it looks like the Lancome Ombre Magnetique shadows. Post on this coming up soon!